score&seven score an Outdoor Vinyl Banner! score&seven is a boutique, fashion focused brand with a passion for the simple yet stylish things in life. With an upcoming fashion stall at Paddington Markets approaching some marketing material was required and an Outdoor Vinyl Banner was the perfect option to promote this up and coming fashion brand. score&seven opted for a design that included elements consistent with their T-Shirt design and also included the fashion labels logo to increase brand awareness. This simple banner really added some professionalism and presence to the stall. 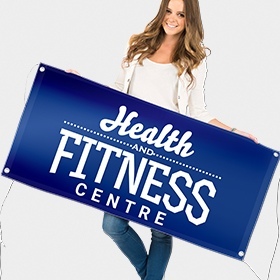 An Outdoor Vinyl Banner can be an affordable and effective way to promote your business. From having a simple logo for brand awareness to including business details to help spread the word about your business, an Outdoor Vinyl Banner is exactly what your business needs.